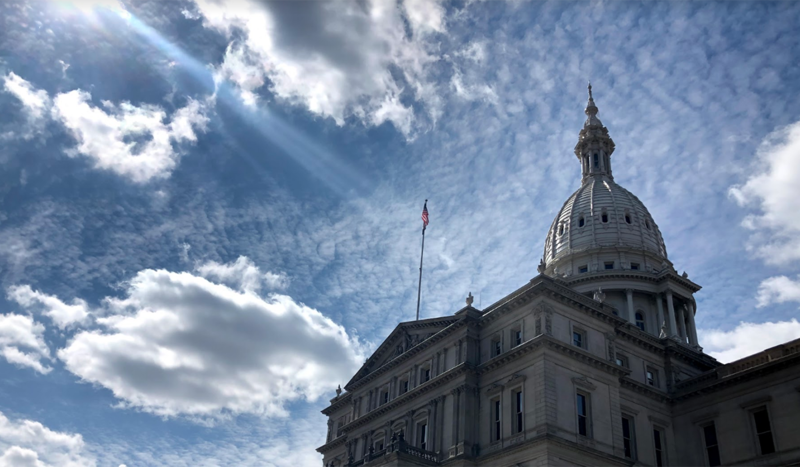 In a unanimous vote, the Michigan House voted to pass most of a bipartisan package that would open the state Legislature and Governor’s office to public records requests — government access that people in 48 other states already enjoy. “We’re here to serve the public and people deserve to see what we’re doing so that they can hold us accountable,” said Rep. Daire Rendon, R-Lake City, one of the bill sponsors, in a speech on the House floor introducing the bill. One bill in the package, sponsored by Rep. Andrea Schroeder, R-Independence Township, who was absent from session, will be voted on Wednesday so she can be present for the vote. The bill is expected to pass as well. Require the Legislature to hold on to records for two years before discarding them. Exempt constituent communications, private and medical information, trade secrets, officials’ cell phone numbers and more from disclosure. The Governor’s and Lieutenant Governor’s offices would also now be subject to public records requests. Because those provisions were added to the regular FOIA law, those challenging a denial could seek review in the courts. Advocates spanning the political spectrum have lauded the legislation as a long-overdue move to bring greater transparency for the state’s most powerful public officials, a move that would be more closely in line with other states. “We feel that we’ve made progress just by the very existence of these bills,” said Lisa McGraw of the Michigan Press Association when the measures passed out of a recent committee. At a House committee hearing last week, chair Rep. Jason Sheppard, R-Temperance, said legislators added an exemption for communications between constituents and Gov. Gretchen Whitmer’s office at her request. Lobbyists, state employees and state appointees would not be considered constituents. "We don't want to discourage residents from contacting the Governor," said Whitmer spokesperson Tiffany Brown of why she requested the exemption. "The exemption we have is far less restrictive and is limited to three specific situations: personally obtaining government services, expressing a personal opinion, or redress personal grievances." The constituent exemption is one of the legislation’s many possible shortcomings, according to transparency advocates who say it could be stronger. Blocking public access to constituent emails could, for instance, create a loophole in which a wealthy donor asking the governor or a legislator for favors would be exempt from disclosure, Craig Mauger, executive director of the Michigan Campaign Finance Network, told Bridge when the legislation passed through committee last week. “Is this proposal really about promoting transparency, or is this proposal about getting a press release that we did something that appears to promote transparency?” Mauger said. Rendon told reporters the constituent exemption for Legislators is important because constituents might be more likely to hold back valid feedback if they think their concerns may be reported. “I do think that we talk to a lot of people that really need need to have some privacy while they're discussing these issues,” Rendon said. Private information is already exempt from disclosure under the current FOIA. Progress Michigan, a liberal advocacy group that has called for transparency reform, has also criticized the bill package pertaining to the Legislature because it lacks judicial review. Instead, the Legislature would in essence be watchdogging itself. The administrator of the state Legislative Council would appoint a LORA coordinator who would be responsible for determining whether legislative offices had a heavy hand in exempting their own information. The package will now move to a Senate committee, where its future is more dicey. Senate Majority Leader Mike Shirkey told reporters Tuesday morning that he hasn’t been following the changes to the bills in the House, but that it’s unlikely he will bring the legislation up for a vote as passed by the House. “We’re not going to do nothing, we will do something,” he said. “I don’t want to interrupt the natural flow of negotiation in the process of talking about language in bills and so forth. Nor do I want to put at risk personal communications that are associated with social media and electronic transmission,” Shirkey said of his concerns about the legislation. This is the perfect opportunity for legislators to put aside their own self interest to do something the citizens of MI have been demanding for years. As the least transparent state in the country when it comes to our government, it is about time something is done. Remember Mr. Shirkey, the citizens are watching. About time. GET THIS PASSED!